The following is a guest post by Rajesh Setty, President and co-founder of WittyParrot, a content delivery platform. Gone are the days where the first contact to a prospect was primarily through a salesperson. Today the primary salesperson happens to be the prospect himself or herself. Today’s prospects are more knowledgeable than ever and, to their benefit, there are mountains of information about your products and your competitor’s products. If you are wondering where marketing has gone in this equation, rest assured that marketing plays an important role. Today the role of marketing is to raise awareness of the “problems your prospects may be facing” to the “solution your organization is offering” in a very compelling way. If you subscribe to the A.I.DA (Awareness-Interest-Desire-Action) Model, marketing has to do a great job in the first two sections: Awareness and (part of) Interest. When the prospect engages in second contact with your organization, they have raised their hand and expressed real interest to learn more about what you are offering in order to determine if it makes sense for their organization to consider buying your products or services. Your sales team’s responsibility should be to carry the prospect through the rest of the sales stages to successfully close the deal. The problem with many sales organizations is that not all salespeople have fully developed the mastery of second contact and beyond. Their knowledge of your organization’s products and their applicability to a prospect’s specific situations is not deep enough to create “aha moments” of delight for the prospects that are considering your offerings. There is an old adage that has stood the test of time – “people buy from people.” Honestly, the prospect’s current needs are met by not just your products, but also by products from several of your competitors. So, if you are trying to win a “feature war,” you can forget about it. It will be a waste of your effort. What will be helpful is the ability of your salespeople to tell a “better story” that shows how your offerings will bring better value as compared with what your competitor’s offerings will bring. The real problem is that your salespeople’s lack of “mastery of second contact and beyond” will not result in bad consequences immediately, because B2B sales in general have long sales cycles. By the time you realize that this is a problem, you would have lost a few deals. Teaching your sales teams (and giving them tools) to master the second contact and beyond is not optional anymore. The acceptable level of responsiveness from your sales teams is generally set by other players in the marketplace serving the same set of prospects (your competitors, to be specific). Responsiveness is not measured in absolutes. It is measured relative to what’s been set as a standard in the marketplace. It is not just the attitude and skills of your salespeople to be responsive, but also the tools available for them. For the tools part, your sales enablement teams have to take the full responsibility because without the right tools to be responsive, your salespeople have to work extra hard to just stay in the game. What makes being responsive hard is that incoming requests in second contact and beyond get progressively more complex as the sales cycle progresses. The questions don’t come in templates, so the answers can’t be in templates either. A communication accelerator tool like WittyParrot, where knowledge nuggets are broken down into reusable content blocks, would greatly help. With that, salespeople can assemble the right responses to incoming requests with great speed while ensuring that the entire organization speaks with one voice. The key to being relevant starts with the ability of your salespeople to quickly get into the shoes of your prospects. This means that your salespeople have to spend enough time learning about the domains and industries where your offerings are applicable. The more knowledge your salespeople are equipped with on a large number of use cases better prepared they will be when they are dealing with a specific use case for a particular prospect. When your salespersons are truly relevant, the prospects will know because when that happens, prospects will feel they are having a conversation with one of their own tribe members discussing new possibilities with them. I read in Stephen Covey’s classic book “7 Habits of Highly Effective People” that trustworthiness is a combination of one part of competence and one part of character. By being responsive and relevant, your salespeople have almost covered the competence part. Without that, they could not carry on the “responsive+relevant“ act for a long time. That, of course, is only the first part of the equation. Long-Term Relationship: As your salespeople people build long-term relationships with your prospects, their true colors are revealed. IF those colors are the right colors, they pass the litmus test. Common Reference-able Connections: In lieu of long-term relationships, a good proxy would be to have common reference-able connections can vouch for the salesperson’s character either explicitly or implicitly. Compelling Track Record: If the salesperson had a compelling track record, that could be another proxy, because nobody wins with questionable character in the long run. Beyond what I have mentioned above, there is an X-factor that generally comes with experience. It is the salesperson’s ability to read the current situation reasonably well, the current thinking of key stakeholders that will influence the deal, and respond with a compelling story that will move the deal to the logical next step. Understand the current thinking of stakeholders that influence the deal: The first step here is to find out who the influencing stakeholders in a deal are. It is not always easy to figure that out as the B2B deal sizes get bigger. The biggest weapon a salesperson has is for him or her to LISTEN – listen to what is being said and what is not being said. The next step is to be likeable because likeable people get a lot more information than the not-so-likeable ones. Respond with a compelling story that will move the deal to the logical next step: Good storytelling is not optional anymore. If a salesperson wants to stand out, he or she needs the skills to craft compelling narratives at very short notice and to changing situations. 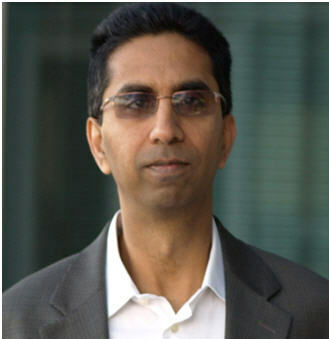 Rajesh “Raj” Setty is a serial entrepreneur and author based in Silicon Valley. Raj is the co-founder and serves as the president of WittyParrot. Raj has written and published 14 books so far with his first book published when he was thirteen years old. He maintains a blog where he has published over 1900 articles. You can follow him on Twitter at @rajsetty or via Facebook.